In medium bowl, beat cream cheese with electric mixer on low speed until creamy. Beat in dulce de leche syrup and sour cream until blended. Spoon cream cheese mixture into each fillo shell. Top each with strawberry and mango. Indulging on something sweet after a meal can be a pleasing finish. Use reduced fat options whenever possible, and keep portion sizes small. Need a little dessert? 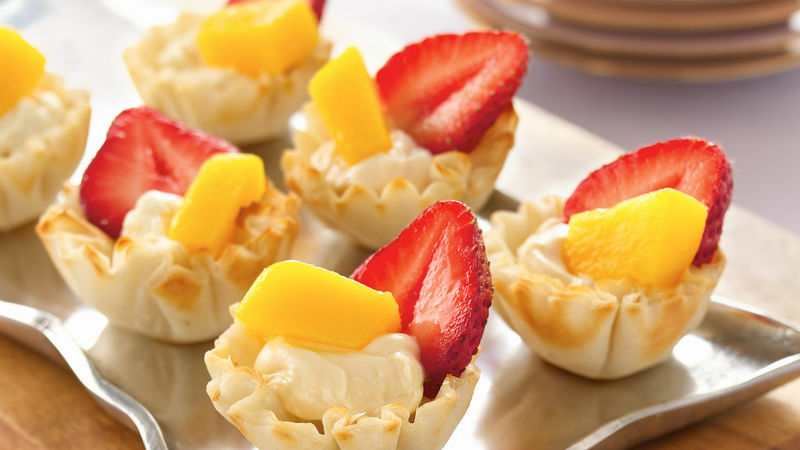 Try mini fillo cups with creamy caramel filling and fresh fruit. From eatbetteramerica.